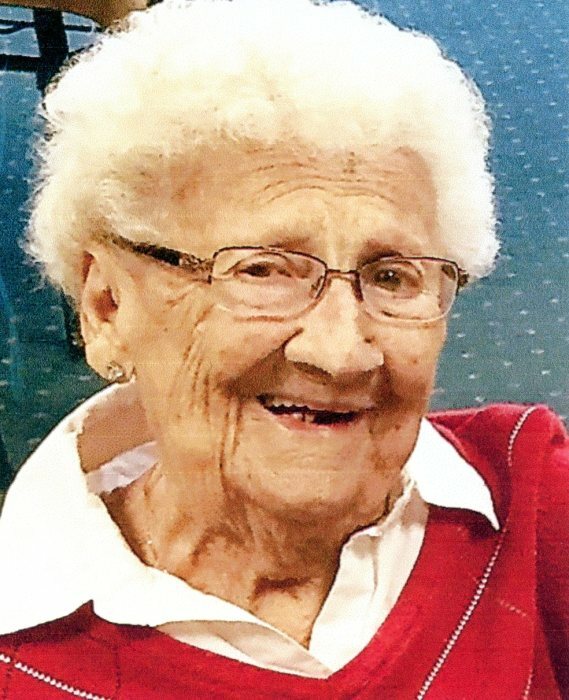 Constance H. Constantini, 96, Hibbing, MN, died Tues. Feb. 12, 2019 in the Guardian Angels Health Care Center, Hibbing. She was born in the Penobscot Location in Hibbing on Oct. 4, 1922, the daughter of William and Virginia O’Brien. Constance married Anthony Constantini in July of 1946. Constance was a devoted mother and grandmother whose favorite times were spent with her children and grandchildren. She had worked at the Hibbing General Hospital, which later became the Fairview Range Medical Center, in the food service dept. She was an active member of St. Leo’s Catholic Church, belonging to several of its’ circles and the choir. She was a member of the VFW Post 8510 Auxiliary and also enjoyed camping, sewing and playing canasta. She is survived by her children: Paulette (Doug) Hanson of Hibbing, Richard Constantini of Side Lake, MN and Tammy (Steve) Allison of Hibbing, 5 grandchildren: Missy Heise, Heidi Hanson, Tony Hanson, Michael Allison and Sarah Allison, 4 great grandchildren: Tiffany Ide and Morgan, Bazel and Evan Hanson, and her sister in law Fran Constantini of Hibbing. She was preceded in death by her husband Anthony and her parents. A Mass of Christian Burial will be celebrated on Friday, Feb. 15, 2019 at 11:00 a.m. in the Blessed Sacrament Catholic Church. Visitation will be in the church on Friday from 10 a.m. until service time. Burial will be in the Maple Hill Cemetery.